I have 13 Hayes Chronographs I'd like to sell as a lot. 6 are working, are in good cases, although two of them do not have the back bezel. Five of these use the 3-pin power connector, one uses a barrel connector. The other 7 are more or less parts. Two have a display, but do not count (digits frozen). Five have no display (VFD is present, but as if not powered up). One of these lacks a front bezel. All seven have no back bezel. I have 10 extra cardboard battery tubes, 2 3-cell battery holders, and one front cover lens (goes in the bezel). None of these have power supplies, unfortunately. The one power supply I have goes with the one I'm keeping. The five units with no display exhibit a common problem with the chronographs. The +30V to the VFD has a 35V rated cap on it, and this cap usually fails. I have a paper copy of the schematics which I plan to get scanned to PDF this week. I'd like to get $400 plus shipping for the entire lot. Email is jcwren@jcwren.com. I have a paper copy of the schematics which I plan to get scanned to PDF this week. I'd like to get $400 plus shipping for the entire lot. I just got mine going and a copy of the schematic would be nice. What was their intended purpose, obviously keeping time, but in relation to what? We used similar ones in our federal communication sectors. Also, have seen talking clocks input to a track on a reel to reel audio recorder (they also looked similar to these). There is a ZIP file with images from the manual for it. The images are pale blue text on white so very challenging to read. 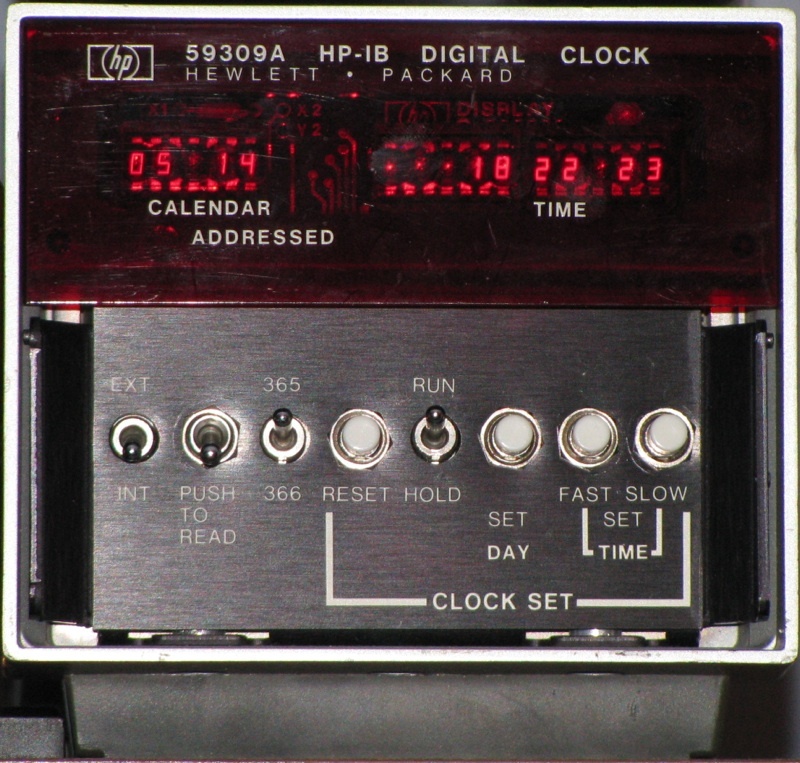 It was a $200 to $250 variation on the typical $20 LED clock kit but with the added ability to connect to computer through the serial port to set the time because buttons are too hard. It can also signal through the serial port when the alarm goes off. I believe there were even drivers for it so it could be equivalent to a standard runtime clock. http://www.classiccmp.org/cini/pdf/random/ has a PDF of an article showing how to use it as an RTC with a H-89. Last edited by krebizfan; January 14th, 2017 at 06:36 PM. Are any of these Hayes Chronographs still available? Good morning! Are any of these Chronographs still available? I'd love to buy one. Sorry, they've all been sold.